University College lost a beloved colleague on Aug. 15 when Robert Acierno died at the age of 62. For 29 years, Acierno faithfully sorted the interoffice mail at 700 University Avenue. Despite the many challenges he faced in life, Acierno was an upbeat, hardworking member of the UC team. 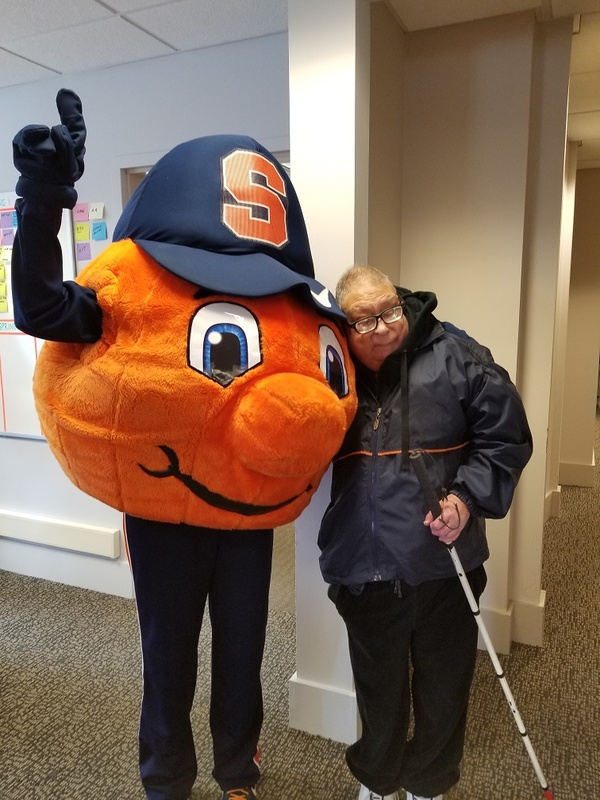 Acierno resided in a group residence operated by ARC of Onondaga. In 2000, Acierno was named Person of the Year at ARC’s Achievement Awards Dinner–the highest honor bestowed by the organization. It is given to a person with a developmental disability who has demonstrated significant progress toward living an independent, inclusive life to the fullest potential. Acierno participated in the ARC’s Athletes in Tandem program at the annual ARC Race in Long Branch Park, where he was teamed with runners from the community to complete a half marathon. “UC won’t be the same without Robert,” adds Kris Hartnett. Robert Acierno, beloved son of the late Joseph and Angeline Acierno, is survived by his brother Gerald, sister-in-law Candace, and two nieces. A celebration of his life was held Aug. 21. Donations may be made to the Arc of Onondaga. Hemmerlein Confirmed as Board Chair of YWCA Syracuse and Onondaga County, Inc.